Fly fishing for carp season is entering full swing and fly fishing for carp tournament season is too. If you live in the area or are up for a road trip be sure and check out Carpocalypse 2014 in Grand Junction. 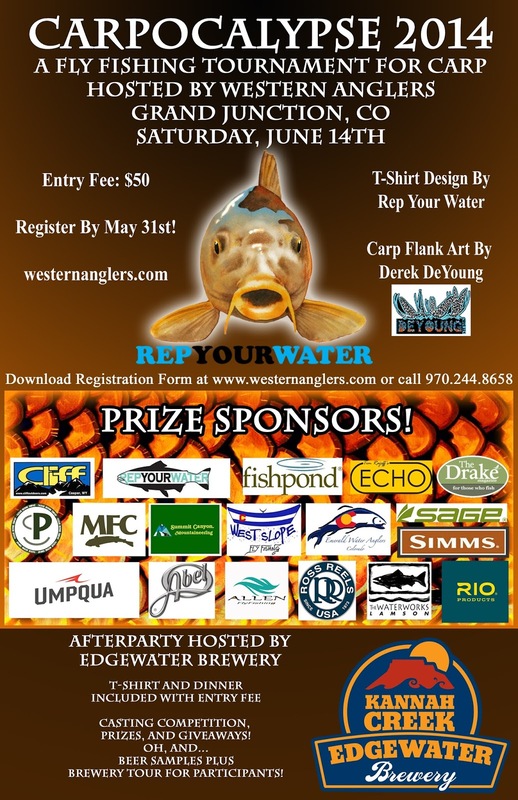 "It's just a reason to get fellow carp fisherman together, have fun, win prizes, and drink beer." Now THAT is a noble cause if I have ever seen one.